The European Parliament’s Special Committee on Financial Crimes, Tax Evasion, and Tax Avoidance, more simply referred to as the TAX3, has published a report it requisitioned on financial crime considerations pertaining to cryptocurrency. The paper makes a series of policy recommendations emphasizing de-anonymization of crypto users in the European Union’s nook of the cryptoverse. What Is the TAX3 Report? TAX3, a tax-centric investigatory body that was provisionally voted on in February 2018 and then officially enacted by the European Parliament on March 1st, 2018, has released its first requested report on the legal implications of possible financial crimes via cryptocurrency. The 103-page July paper, entitled “Cryptocurrencies and blockchain: Legal context and implications for financial crime, money laundering and tax evasion,” was authored by Prof.dr. Robby Houben and Alexander Snyers, both hailing from the University of Antwerp’s “Business & Law” research group. In the context of standing and future EU financial law, the report’s authors arrived at a series of formal recommendations that are not binding themselves, but will serve as a basis for helping EP lawmakers arrive at their own legislative conclusions on crypto. Some of the report’s main recommendations. Notably, the co-authors recommended to TAX3 that, going forward, “mandatory registration” so as to “unveil the anonymity of cryptocurrency users” would be prudent in the EU. Such language would seemingly put privacy coins like Monero and Zcash’s “shielded addresses” square in the crosshairs — a major thread to watch in Europe in the months ahead accordingly. For now, it’s not clear how far these recommendations will go toward fruition. 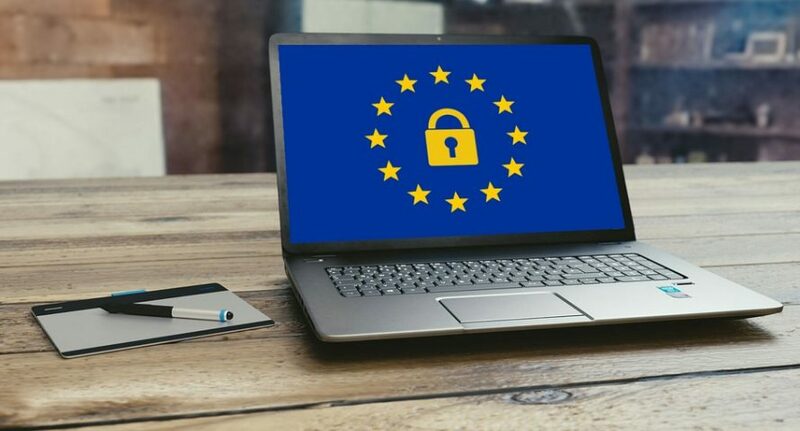 Nevertheless, they pose some striking considerations for European privacy backers — specifically for European privacy coin holders. Toward the end of their report, the co-authors in question ask whether mechanisms like “the mixing process attached to Dash’s feature PrivateSend […] Monero’s RingCT, stealth addresses and Kovri-project” should be banned. Of course, “Ambition must be made to counteract ambition,” as James Madison put it, and to that end privacy proponents have wasted no time in sounding off against the more draconian aspects of the paper. Among that lot was Sarah Jamie Lewis, the Executive Director of research non-profit Open Privacy, who blasted the ban rhetoric on Twitter. Needless to say, the researcher and a whole throng of privacy advocates will refuse to go gently into that good night in the face of the new TAX3 report. "But why do you *need* that much anonymity though?" says the cop seriously considering banning mathematics. Whatever ends up happening, the waters ahead are increasingly looking to be choppy. 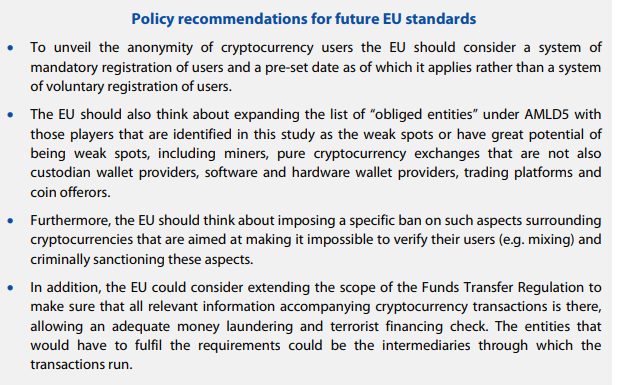 Alas, where the TAX3 takes their newfound recommendations from here could have massive implications for EU crypto users and beyond, particularly if other nations or regions look to the EU’s framework as a model in the future. What’s your take? Should privacy coin projects be concerned? Or not really? Let us know what you think in the comments below.